Preferred Limo & Airport Car Service has quickly become Toms River’s leading Transportation provider. We offer only the best service at the most affordable prices. Our special amenities are Free and we have no hidden fees. Our customer reviews throughout the internet speak for themselves. Automatic Text Messaging to your cell phone when driver is en-route to your location complete with driver name and cell. Free Inside Airport Meet & Greet with sign or quick curbside pick ups. All vehicles tracked by GPS Tracking system alerting you to drivers location. Worldwide Reservations – We can reserve a limo or car service anywhere in the world for you. Our Affiliate Network consists of Licensed, Insured, Experienced and Verifiable companies such as ourselves. We will arrange pick up at ANY airport, send you confirmations and complete billing all within our system. It is a One-Stop Booking process! The best part is.. you will also receive discounted rates. Most vehicles equipped with affixed tablet for viewing movies or surfing the web. Easy Payment Processing with detailed billing. gratuity is always included in final bill. Live Flight Tracking– your flight will be tracked live by dispatch and driver assuring you that we will be there no matter when you arrive. 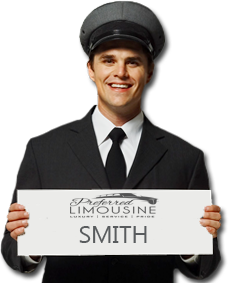 Luggage Assistance – Our Drivers/Chauffeurs are there to assist with your luggage at airport and home. ON-TIME GUARANTEE – We Guarantee our Drivers are On-Time or your next Ride is Free. Frequent Traveler Rewards – You will earn points on every completed trip. These points will be used towards discounts on future rides with us. Monthly Contests – Your name and email will be entered into our monthly drawing for special prizes such as travel, free limo time, electronics, and more! Highly Maintained Vehicles – Our vehicles are maintained regularly assuring a safe – uninterrupted ride to your destination. Licensed, Trained and Verifiable Driver/Chauffeurs. All our drivers are highly experienced and go through a long detailed training process. This also includes background & drug/alcohol tests. They are fully licensed by the State of New Jersey. There are many services advertising something that they are not! Many are unlicensed & uninsured or claim they have fleets of vehicles when they only have one or two! Some even claim to be from the area, but in reality, are located out of state. Does this matter? Of course it does! They can not cover your trip if the previous flight is late or if they need a back up vehicle immediately in case of breakdown. Research any company you choose. Read the reviews! 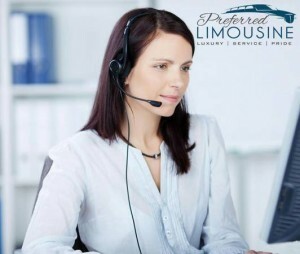 Preferred limousine & Airport Car Service was formed by Two Highly Experienced Chauffeurs & Managers that saw the need to provide a service that is focused on Customer Satisfaction, Safety and Comfort.. not just the financial aspect. Many companies are more concerned about profit and lose track of the most important commodity… YOU the Passenger! We understand that a Happy Customer is a repeat customer. Our Management team will always assist you at any time with your needs. We service all surrounding towns which include, Brick, Jackson, Bayville, Beachwood, Lacey, Forked River, Waretown, wall, Seaside Heights, Ortley Beach, Manasquan, Brielle, Point Pleasant, Howell, Barnegat, Manahawkin, LBI, Red Bank, Manchester, Whiting, Asbury Park, long Branch and the complete Jersey Shore including all of Monmouth County. CALL OUR FRIENDLY RESERVATIONS DEPT.